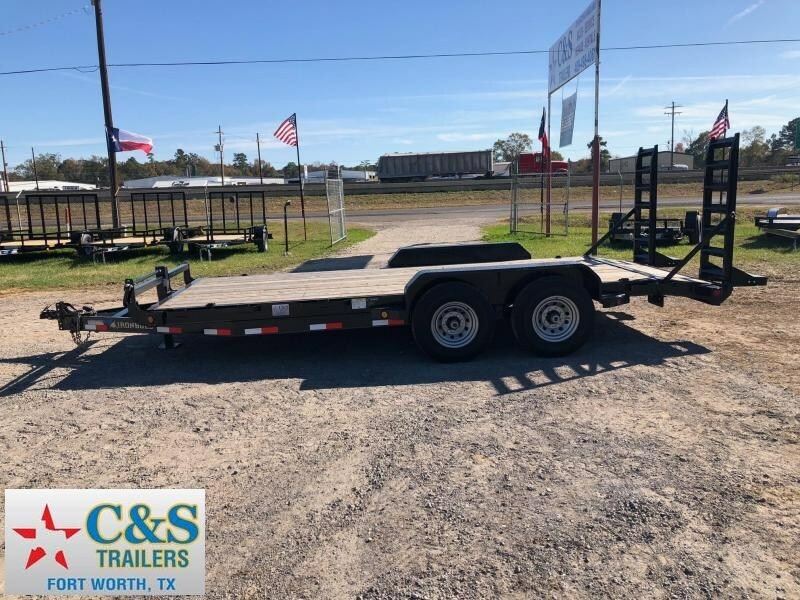 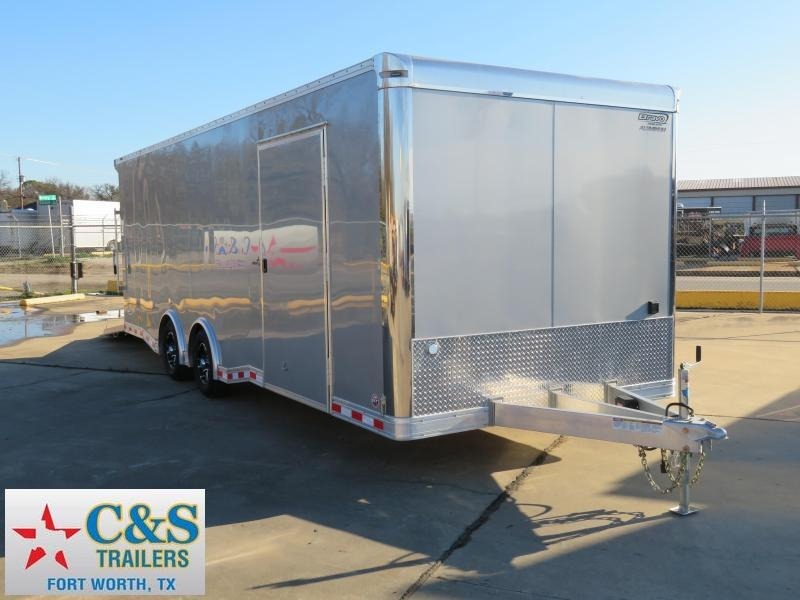 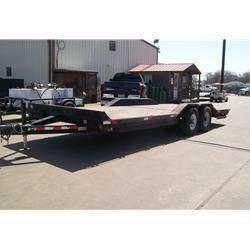 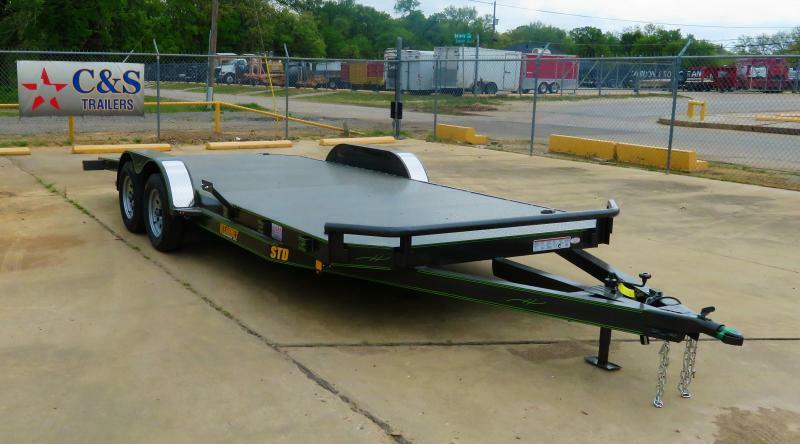 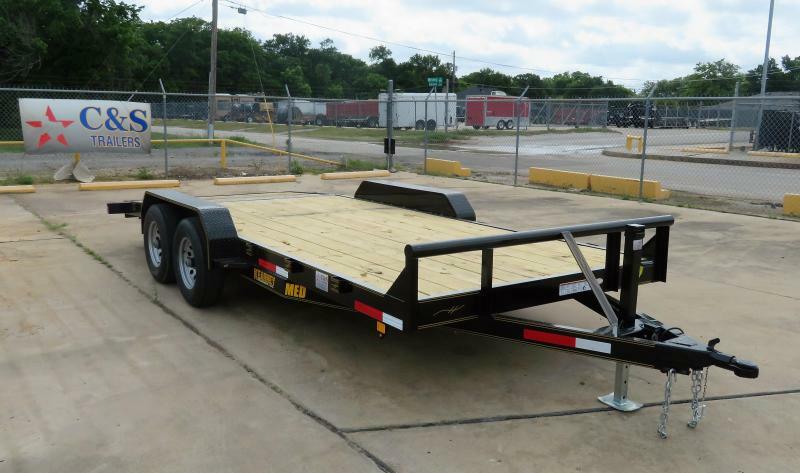 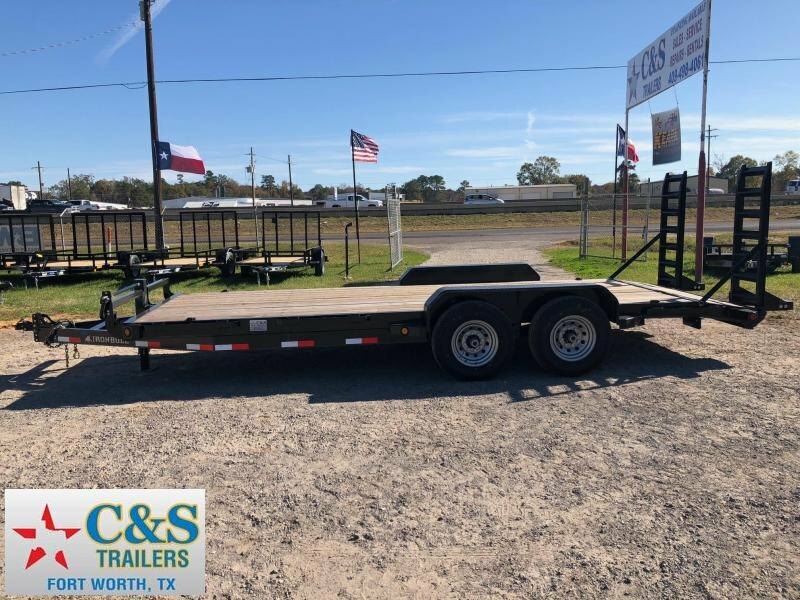 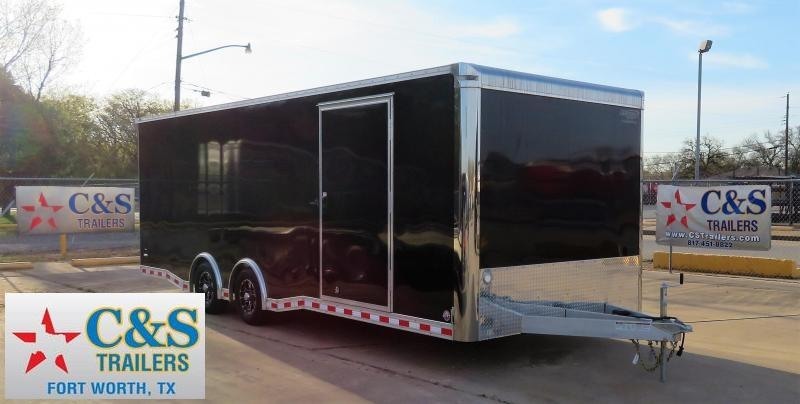 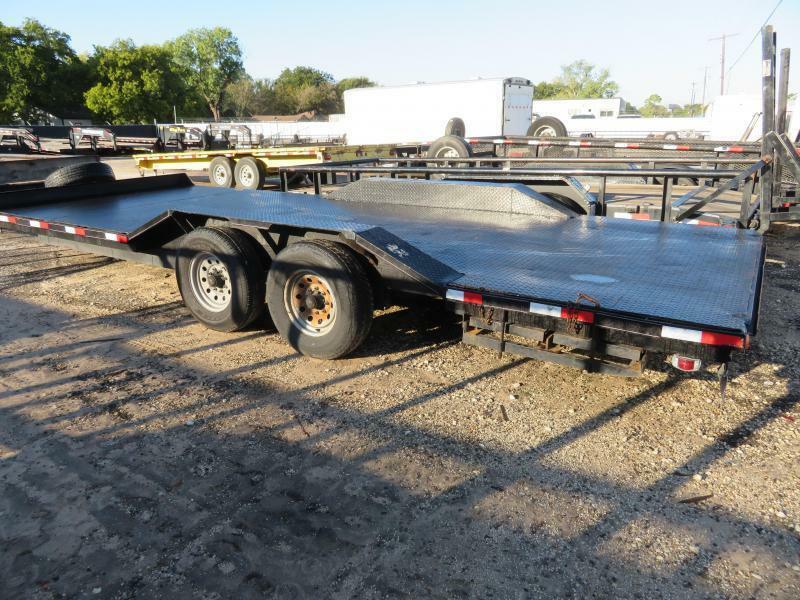 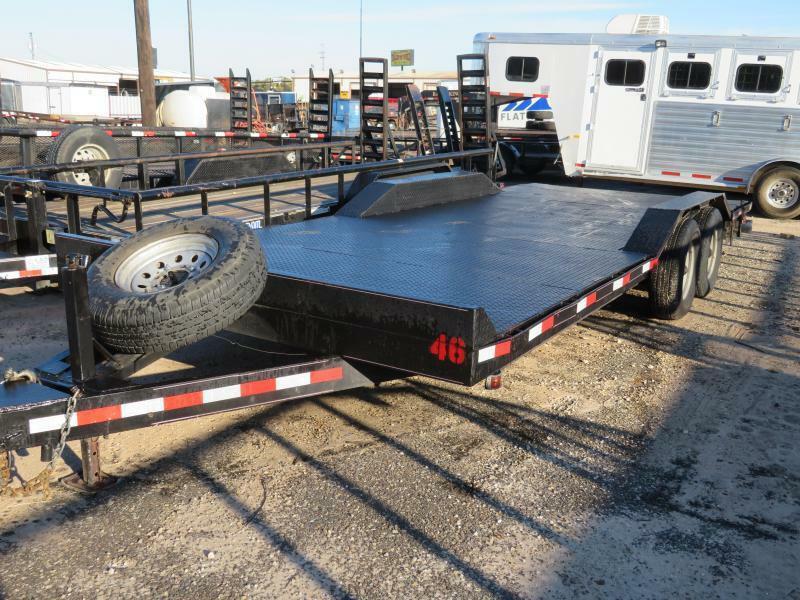 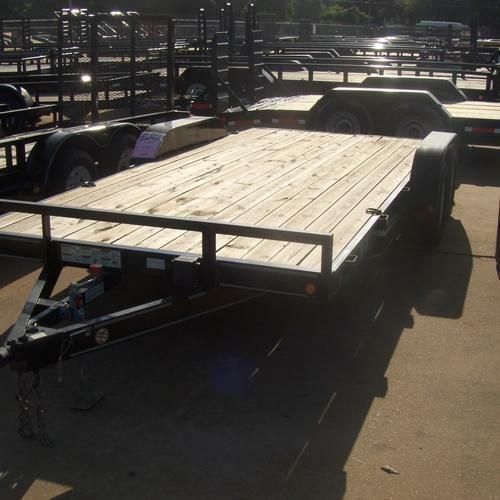 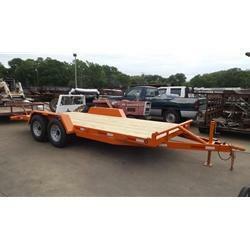 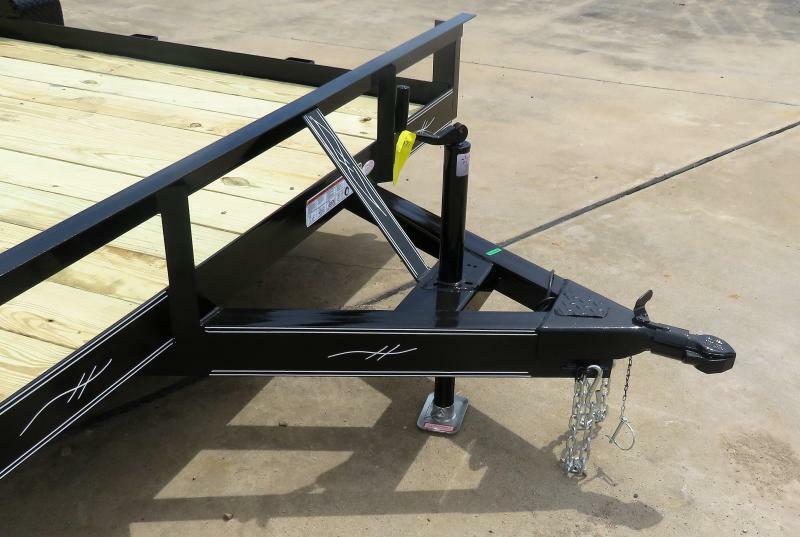 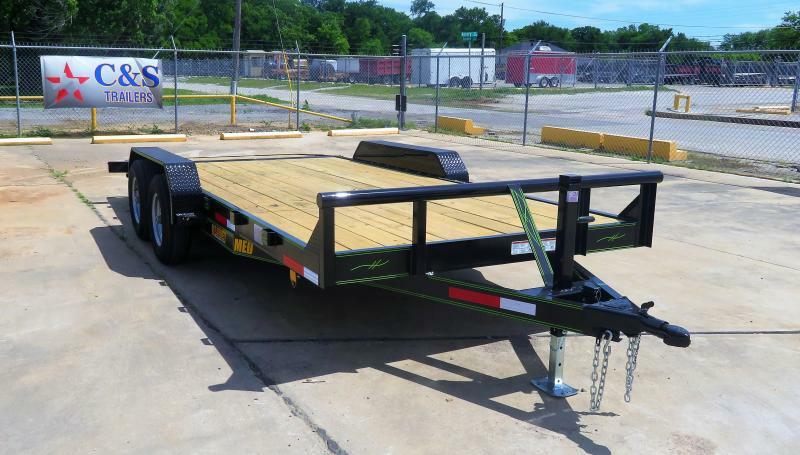 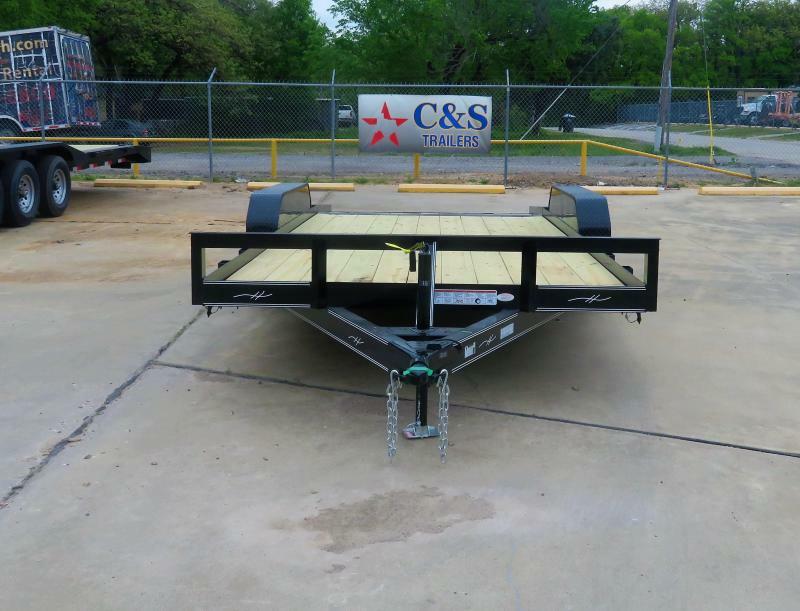 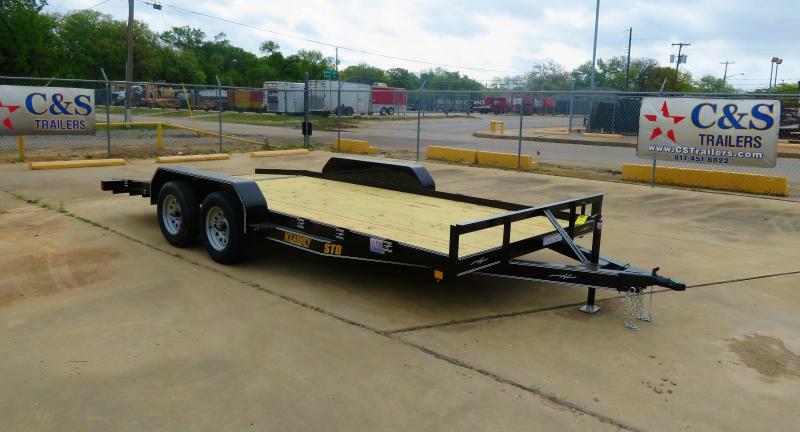 C&S 22' STEEL FLOOR CAR HAULER W/ 2-7000# AXLES, ELECTRIC BRAKES, STEEL FLOOR, DRIVE OVER FENDERS, SLIDE IN RAMPS, & 2 5/16" COUPLER (96" wide & 82" between the fenders) - TRAILER HAULS APPROXIMATELY 9,000 LBS. 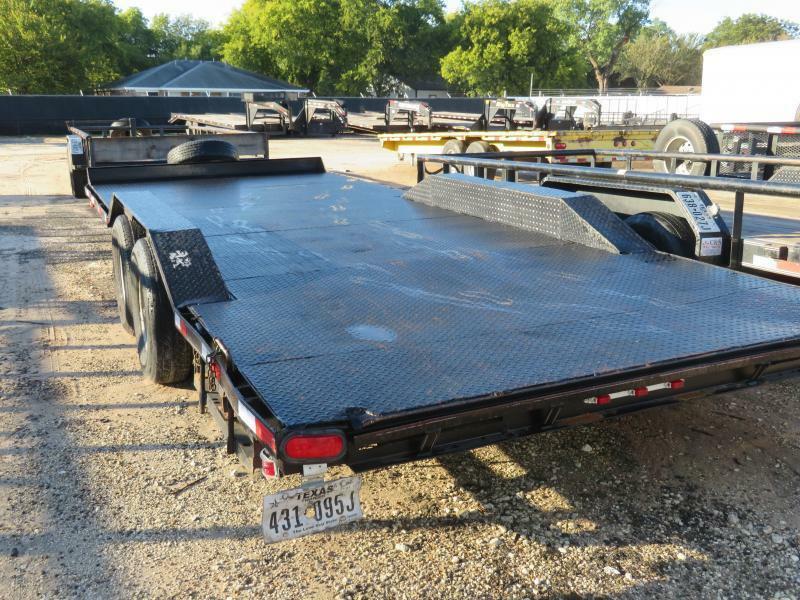 This rental does require a 3/4 ton pickup or bigger to rent. 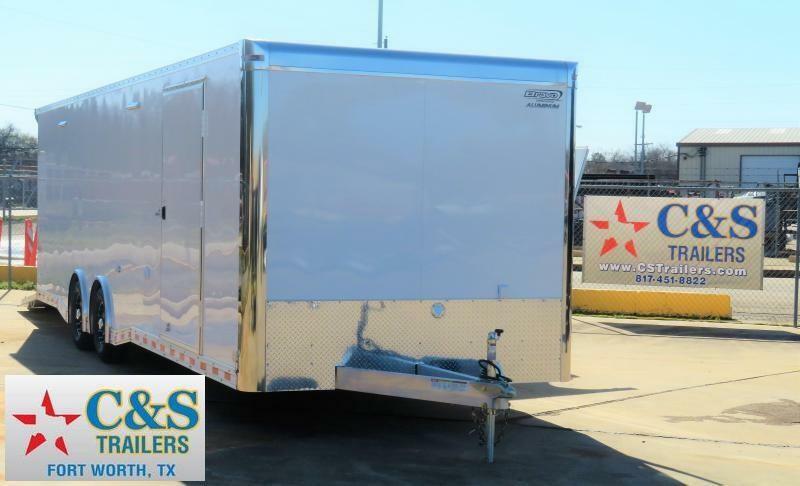 All rental fees are based on a 24 hour period.